Whether or not you should purchase phone insurance is a question many consumers struggle over, and for good reason. Though in most cases the answer is no, it isn’t clear cut. Here are points to consider as you decide what might be right for you. What is covered by the manufacturers warranty? Do your research. Many potential issues are already covered in the first year by the phone manufacturer’ warranty. Understand what’s covered – and for how long – before making a decision to purchase additional insurance. Some retailers also have a replacement policy. Check to see what, if anything, is covered by the retailer. Call your home, car, or renters insurance agent. Your phone may already be covered through an existing plan. If it is covered, ask about any exceptions that the insurance may not cover. Also ask whether filing a claim about a phone will impact your rates in any way. Find out about any known weaknesses with your particular phone model. Some phones are simply sturdier than others. Flip phones often break at the hinges, some are known to have issues. If the phone model that you want to purchase has a higher breakage rate than other phones, check the manufacturers warranty closely, then decide if this is the phone for you, and if so, if you want additional insurance. Understand exactly what the insurance does and, more importantly, doesn’t cover. This is one time where reading the FINE PRINT is critical. Compare the cost of the phone, to the cost of the insurance. Assume that you can get a new free/reduced cost phone after two years (the typical length of a phone contract) does the insurance cost more than the phone? Is there a deductible that you’ll have to cover? Learn whether any replacement phone will be new, or if they will have the option of sending you a different model or refurbished phone. You don’t want to pay for an old or used phone. Do some research to find out how difficult the insurance company’s claims process is. Some are so painful you’ll give up before getting a replacement. Are you, or the child you’re purchasing the phone for, clumsy or prone to losing things? 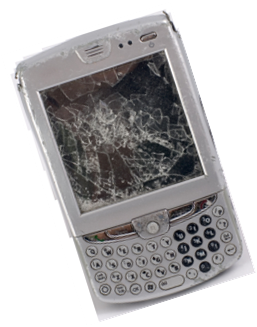 If you aren’t likely to lose or drop your phone – or damage it in some other way – you probably don’t need insurance. On the other hand, if you’ve got a history of losing or breaking things, insurance may make more sense if the previous factors are also pointing in this direction. There is one form of insurance that I always recommend – Backup! Backup! Backup your data! If your phone was lost or destroyed, what information would you lose? If you break out in a cold sweat over the thought, the cost of the phone replacement may pale compared to the loss of the information it contains. If you have phone numbers, photos, texts, or other information stored on your phone that you don’t also have easily accessible somewhere else, it’s time to save this information. Depending on your phone’s model, and your carrier, this may be automatically in place for you, it may take a simple backup, or it may be a very manual process. No matter the pain level, if it’s less than the pain you’d feel if you lost that information, back up the data today – and as frequently as you need to store any important information. You should always have your phone password or pin protected so that someone finding or stealing your phone will not be able to use it. Additionally, if you have stored account information that allows you to automatically log into social network sites, conduct banking transactions, etc. Make a note of these so that if you lose your phone or it is stolen, you can immediately change passwords or close accounts to prevent others from accessing your sites. This entry was posted on Friday, July 23rd, 2010 at 12:05 pm and is filed under Linda's Blog. You can follow any responses to this entry through the RSS 2.0 feed. Both comments and pings are currently closed.